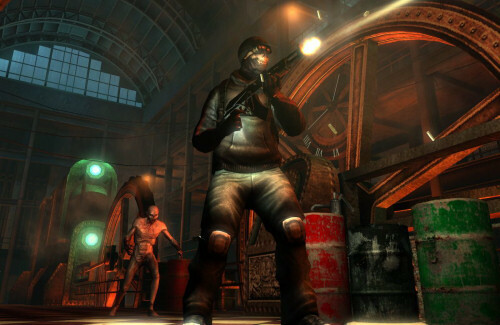 Tripwire Interactive has announced the first piece of DLC for The Killing Floor on the PC. The six player co-op shooter is getting a new campaign map called Foundry which pits players against the zombie like creatures in an old Iron Works building. Two new weapons will be included, an AK-47 and a Samurai Sword. Yes...a samurai sword. This pack is being called the Heavy Metal pack and will be available through Steam soon. There's also a premium piece of content coming that includes four new characters. No date or price was given for this. Page created in 0.2919 seconds.